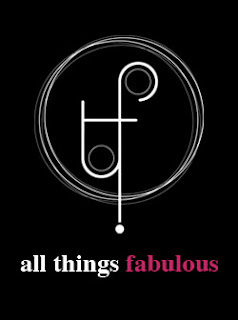 Today we will be sharing Make Up Trends which will be big for Spring/Summer 2012! wearable season’s make up looks as shown on the world’s biggest runways. bronzed look on the runway. Make up artists channeled this look in different ways. Although the main idea was that of contouring their models’ cheek bones with bronzers, many opted for a heavily bronzed look to achieve that “sun-kissed” glow whilst others opted to make this look more natural by applying a light touch of bronzer together with a cream light pink blush to achieve that natural healthy glow. We’re heading back to the sixties with one of the trends seen on the Dolce and Gabbana, Louis Vuitton and Giorgio Armani catwalks, the most sought after cat-eye look, made famous by Audrey Hepburn. 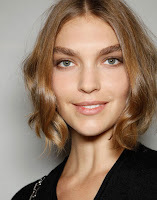 Make up artists channeled this look by creating a natural look all over the face keeping the face and lips very minimal and emphasizing the eye area with a heavily winged look as seen in the picture below on a D&G model. This look was also paired with two big trends, the Power Brow and Red lips famous in the sixties and forties respectively as seen on the Jean Paul Gautier runway. The Power Brow and red lip played their part individually in some shows were they were respectively used as the “statement” look of the make up. 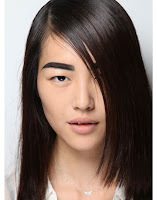 The Power Brow was used in various shapes and sizes, designers such as Versace opted for the brushed up brows whilst others opted for a bolder usually drawn in eyebrow such as Altuzarra. Models channeled in their inner- Marilyn Monroe by sporting an array of red/orange lips in various shades starting from a reddish/orangey shade to a dark wine stained lip. An array of reds: A Red/ Orange lip by Dior (source: Imaxtree.com), A metallic Crimson Red by Yves Saint Laurent (source: Imaxtree.com) and a dark wine stained lip by Donna Karan. Two other bold eye statements were in the form of intense Smoky Eyes and a Silver/ White hue. These trends were seen on runway shows such as Gucci (source: Imaxtree.com) and Chanel respectively. This season it is all about bold looks varying from Retro 1960’s looks to bold eyes, lips or contouring. Remember you may pair up two looks but be careful not to overdo it! One ‘big’ statement look is enough and do not be afraid to try out these looks and always go with what looks best on you whatever the trend, the important part is that you feel confident and empowering in what you are wearing!